September has been difficult for me emotionally. 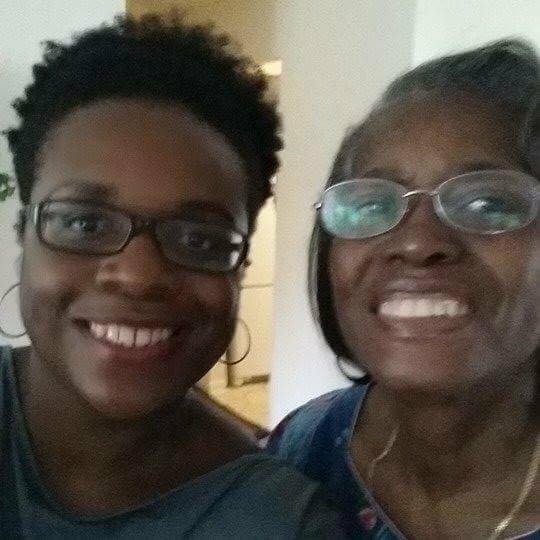 Last September (2016), mummy came to Austin for a two and a half week visit. The whole time she was here, I was undergoing multiple tests to determine what the tumor was in my left breast. I didn’t tell her what I was going through and I wasn’t planning on it until it was confirmed by my doctor. I don’t regret it either. The day she left, my husband and I took her to the airport, then headed to my doctor’s appointment for the news. I already knew. I had been researching breast cancer obsessively. September 28 marks one year since my life changed drammatically. It’s been almost 3 months since mummy passed away and it’s been a struggle. Most days, I’m well, going through my normal routine and then it’ll hit me. I become overwhelmed with emotion and start crying. It especially hits me when I’m driving home from work because for about 5 years, it was my routine to call her during this time. I miss her voice. My Facebook memories feed also reminds me through pictures that she is gone. I’m glad that I’ve taken so many pictures with mummy when she’s come to visit or vice versa. My sister noted that she and my other siblings didn’t think to take as many pictures with mummy since they all live in the same city and saw each other frequently. I happen to enjoy selfies plus I didn’t have the luxury of seeing mummy often, so I loved commemorating her visits. On September 1, I had my annual exam with my primary care doctor and it was also emotional for me because the last time I saw her, she told me that I had breast cancer. She was on the verge of tears when she told me. Of course, I was happy to report that I’ve been well and healthy, but I soon found out that I need more tests for some other potential issues. Her words were, “You’ve been through a lot this past year already. There are still some questions.” I had testing on my breasts yesterday and things didn’t go as smoothly as 6 months ago. The radiology technician called me back 3 times for more testing, then requested the ultrsound. This was all too familiar, but last year, I didn’t think anything of it. Apparently, I’m not completely out of the woods yet on this cancer thing. I need a biopsy. The doctors want to be sure about the 2 new spots on the same breast. I’m generally a positive person, but I don’t want to go down this road again. However, this does put things in perspective in terms of what is important in life. I needed the reminder. The hardest part of all of this is that my biggest supporter will not be around to take care of me for whatever procedures/treatment I may need. Last year, once it was confirmed that I had breast cancer, and after we had met with the surgeons and oncologist, I told mummy of my diagnosis. She took it hard, but was back in Austin by the end of October to be present for my two surgeries in November. How will I get through this next phase of “whatever” without her? Whatever happens, I will do what I need to do to be alive as long as I can for my family. I am strong and brave. I just wish September wouldn’t be so hard. On the positive side, the weather has changed. The expression, “seasons change”, just rang in my ears and we all know that to be true. Only God knows why I’m faced with these health challenges in this season of my life. I will go through this season with everything in me… like a champ or chump, by fighting hard or barely hanging on, but I’ll get through it with her spirit within me. I’ll get through it with the support of my family and friends. I’ll get through it with God.